My work is research-led and underpinned by a repeating theme of how we interact with the environment around us. My inspiration is often space where the natural world and the manmade world collide. My jewellery designs are very much defined by this sometimes uncomfortable interface between man and nature as they often focus on the worldwide plight of the bee population. 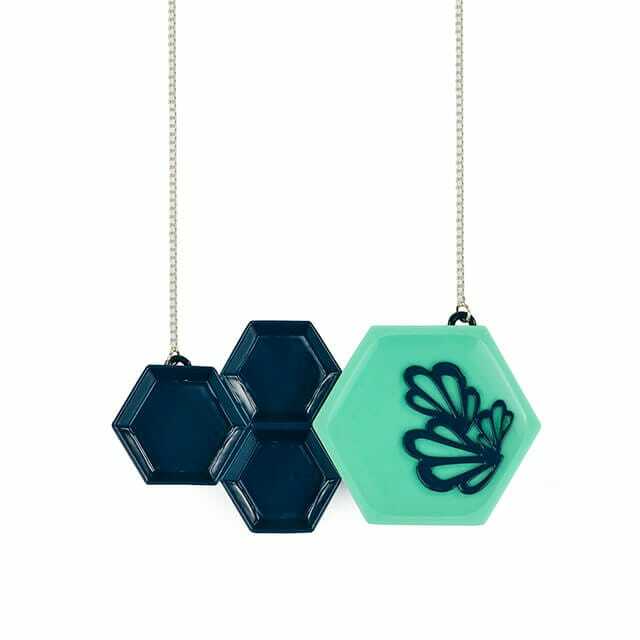 This necklace depicts a dystopian future of modern consumerist ‘nature’ – imagining what the world might look like if bees were to stop collecting pollen and instead focus their attention on collecting consumer goods.